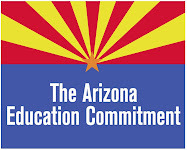 Arizona Education Network: Join the Rally for a People's Budget this Wednesday! Join the Rally for a People's Budget this Wednesday! Wednesday, March 30, 2011 from 11:00 a.m. to 12:30 p.m.
All are invited to participate in the Protecting Arizona's Family Coalition (PAFCO) Rally for a People's Budget this Wednesday at the state capitol. This will be an energy-filled gathering to call for public accountability against the irresponsible and shameful budgets proposed by some lawmakers. There will be great speakers in addition to legislative and media actions. Spread the word and bring lots of friends and neighbors!